Race ahead with .BIZ - The results are in! Race ahead with .BIZ – The results are in! We launched the .BIZ race three months ago with two separate contests to help Resellers increase their Registrations and their .BIZ Growth Rate. We’re at the brink of a huge change in the Domain Name landscape and we believe it’s important at this time, to provide Resellers the opportunities to increase their Customer base. In our experience, a large Customer bank will only help our Resellers in quickly marketing future TLDs and cementing themselves as serious Domain Name providers. The .BIZ race gave our Resellers a chance to do just that. With two separate contests catering to absolute numbers as well as overall growth, all our Resellers, big and small managed to compete for the $20,000 up for grabs. To help us judge the overall value that these contests provide to resellers, we asked a couple of our winners what they think about them. 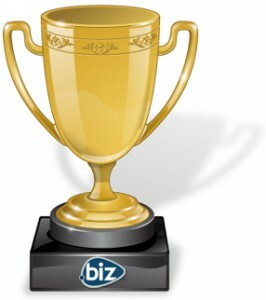 Here’s what they had to say: The .BIZ contest was phenomenal! Winning $3,000 for my business was worth all the hard work we put into increasing our numbers and getting new Customers on board was definitely the icing on the cake. – Vuqar Ahmedov Hostaz.biz This contest was another example of some incredible promos ResellerClub runs. I won $5000 by increasing my .BIZ registrations and I’m now eagerly awaiting their next contest. – Danish Wadhwa Dhost.com Congratulations to all of our winners and we wish them all the best for participating. To the rest of our resellers – thank you for participating and stay tuned for more such contests and promos.